Updated Saturday March 23, 2019 by Christine Pulsifer. Football is family! We need our family to speak up and help save Youth Football. Bill H.2007 is currently being reviewed by Massachusetts legislators. This bill "An Act for no organized head impacts to school children" is trying to ban tackle football from grades 7 down. Whether you are for or against tackle...this will eventually impact your child's sport too. It starts with tackle football and then it will spread. There will be a Youth Football Rally on April 16t @ 11am at the State House. 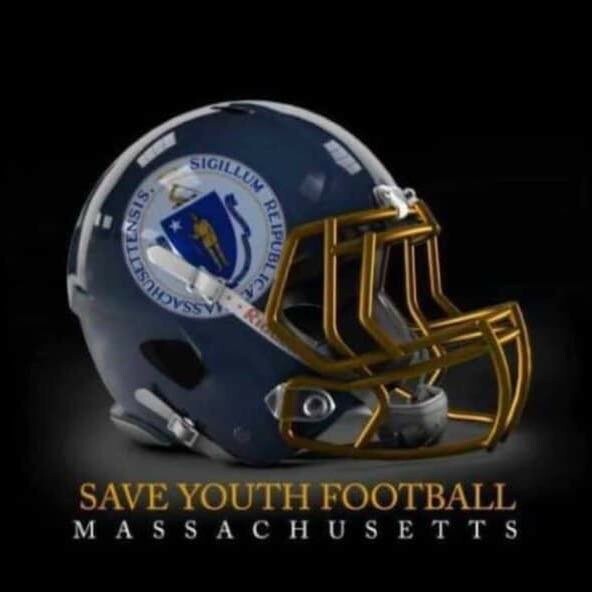 Help our group "Save Youth Football- Massachusetts" protect a parents right to allow a child to participate in a sport. It should be a parent and players decision. Tackle football has once again become a villian in the media. CTE reports spread like fire, but what doesn't spread is the facts surrounding the cases and the variables in CTE. Reports don't show all the ways our sport has become safer through the last decade. It doesn't show the work that goes behind the scense to improve and protect our players. It doesn't show the countless hours the coaches put in to protect and keep our players safe.